I don’t have to tell you guys that holiday time can be a crazy time. Between shopping, working and this year planning Catherine’s upcoming wedding, it’s rare that we have the chance to spend the afternoon shooting photos. Oh, and the fact that it gets dark before 5pm doesn’t help either. So when we got dressed up for a holiday outing and it was 25 degrees out but we had a mere 15 minutes to spare, we had to take advantage of the opportunity. Did I mention it was 25 degrees? But folks, I have finally figured out how to use my wand to curl my hair so I really couldn’t let this chance pass us by. 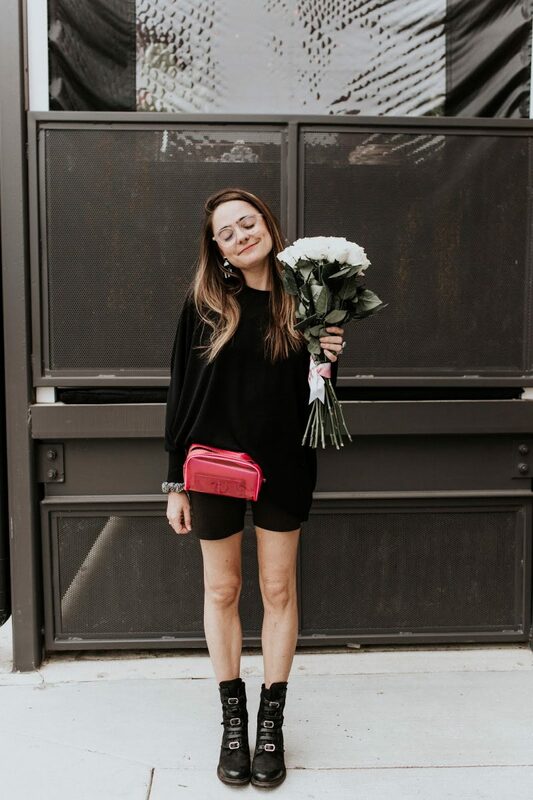 So here’s my take on how to wear an LBD during the winter with my newest Box of Style accessories. PS> $10 off your Box of Style when you sign up today! The struggle is too real especially when the sun sets so early -_- I can't wait for Spring/Summer to get out normal days back. Your outfit is gorgeous tho, I love the long cover-up! !